OMG! 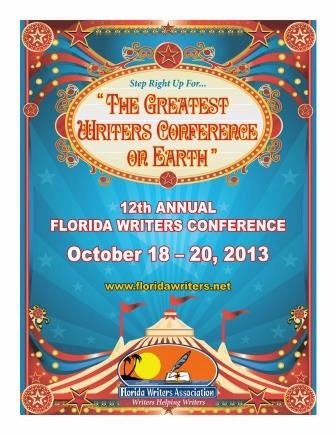 You’ve checked out the conference program [link to http://www.floridawriters.net/uploads/2013_Conference_Program.pdf] and decided that now is the time to find your agent, meet your publisher, and get the scoop on the industry at the 2013 Annual Florida Writers Conference, aptly named “The Greatest Writers Conference on Earth.” But you’ve missed the deadline to preregister. Relax. You can still register onsite. Come to the Orlando Marriott Lake Mary. We suggest you come as early as feasible. Registration opens at 6:00 a.m. Friday if you’d like to attend Friday’s events or to stay for the entire conference. Hours begin at 7:00 a.m. Saturday and Sunday if you prefer to attend for those days only. Check the FAQs in the conference program (page 66) for instructions on what to bring. 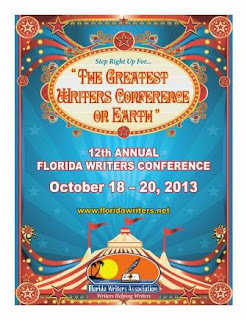 “The Greatest Writers Conference on Earth” will be held October 18-20, 2013, at the Orlando Marriott Lake Mary. See the FWA website, floridawriters.net, to learn more, to register, and to make your agent appointments. Questions? Contact ConferenceMarketing@FloridaWriters.net.